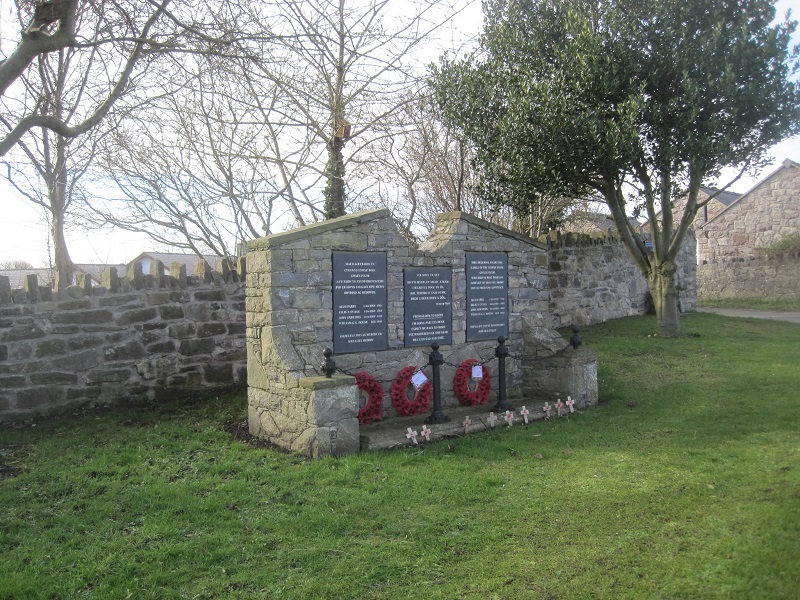 Gwaenysgor War Memorial was erected in 2009 and is situated on the village green. 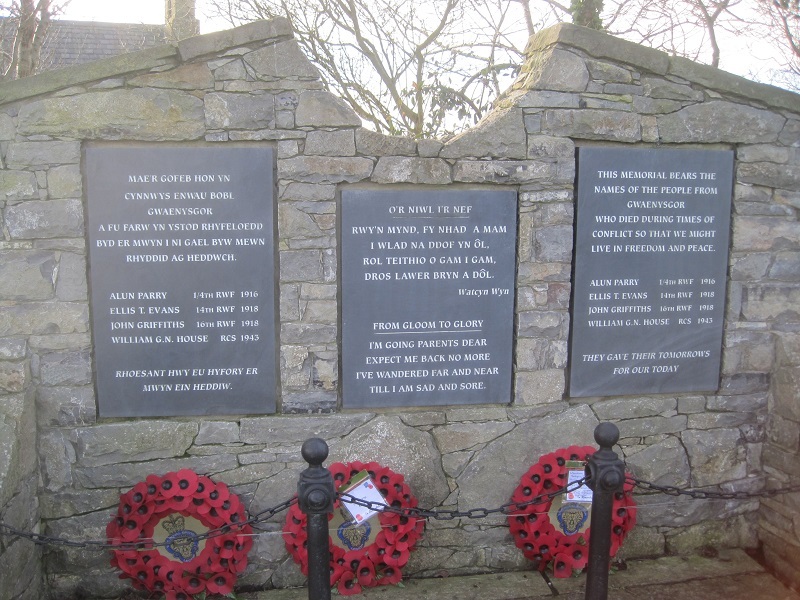 It commemorates four men from the village, three of whom perished in the First World War. Two of these died just before the Armistice and within days of each other: Ellis Thomas Evans on the 6th of November 1918 and John Griffiths on the 8th of November 1918.